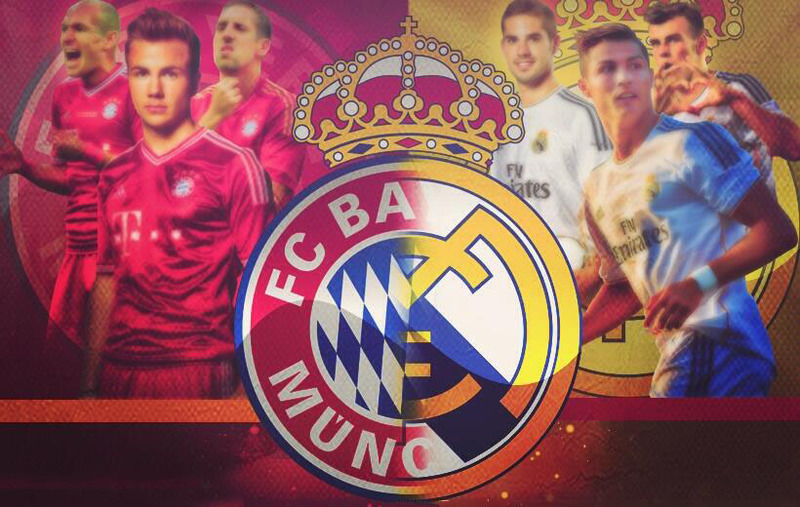 Real Madrid vs Bayern Munich: Clash of the titans! You Are Here: Home » Neymar news: 2018-19 » Real Madrid vs Bayern Munich: Clash of the titans! Even though Barcelona got knocked out of Champions League in the previous round, the competition still has plenty of reasons for the least enthusiastic fan to be glued to the TV screen this Wednesday night. After a quite boring semi-final between Atletico Madrid and Chelsea earlier this Tuesday where both sides couldn’t go beyond a tedious goalless draw, it’s now time for us to turn to the big game of the week. 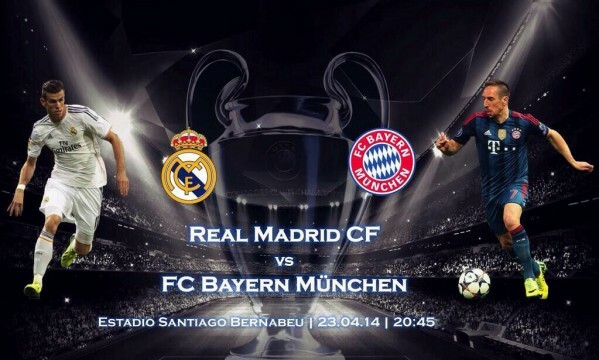 The Santiago Bernabéu will be the stage of an electrifying Real Madrid vs Bayern Munich, and it will sure grant a golden opportunity for the Merengues to start revenging that painful elimination from two years ago. In their path to the semi-finals, Real Madrid already got rid of two of the strongest Bundesliga teams: Schalke 04 in the last-16 round and Borussia Dortmund more recently in the quarter-finals. However, we can’t help but to feel tempted in saying that Bayern Munchen should probably belong to a whole different league and with Pep Guardiola on the helm of the Bavarian, they look stronger than ever. The current German and European champions wrapped another Bundesliga title in late March, and by accomplishing in such an early stage of the season, they’ve set a new record for the most premature Bundesliga trophy ever won in Germany. After winning the treble last year, few believed that this team could still improve in the hands of any other manager. Guardiola has been proving everyone wrong though and if he manages to carry Bayern Munich to another Champions League, he’ll have an unprecedented opportunity to deliver his team a second straight trophy in the biggest European club competition. Real Madrid is not taking these semi-finals any lightly either though and their obsession with winning “La Décima” is growing by the day since they last won this competition, in May 15 of 2002. 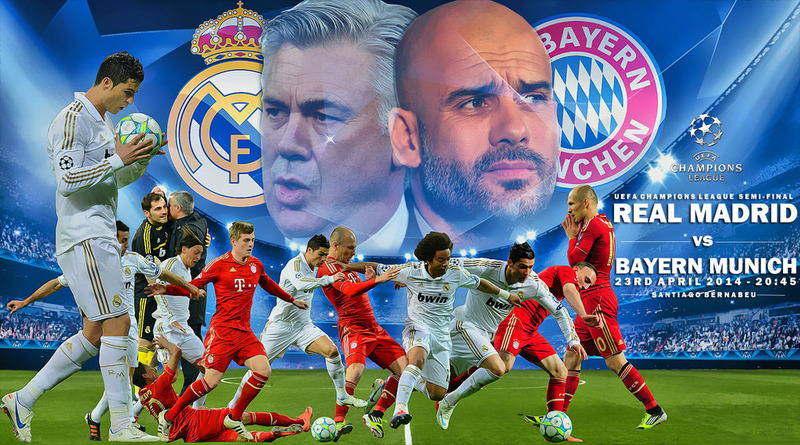 Carlo Ancelotti is the man in charge of leading the most successful club in the Champions League history to their 10th title, but in order to do so, he’ll have to get past the all-mighty Bayern Munich in a 2-leg round. The Merengues are happy to know that Cristiano Ronaldo will most likely be available to play this Wednesday night, who seems to have recovered from an injury that made him miss several of Real Madrid‘s latest games, including the Copa del Rey “Clasico” against Barcelona. The Portuguese is the competition’s top scorer with 14 goals and together with Gareth Bale, he’ll be one of the main threats to Bayern Munich and Manuel Neuer tomorrow night. You can watch Real Madrid vs Bayern Munchen live on Sky Sports 1 in the UK, FOX Sports 1 in the USA, Canal+ in Spain and ZDF in Germany. For those of you who won’t have the chance to be close to a TV set during the game tomorrow night, you can always try to watch it online from any of the live streaming links provided at Ronaldo7.net. Iker Casillas, Fábio Coentrão, Pepe, Sergio Ramos, Carvajal, Xabi Alonso, Modric, Di María, Cristiano Ronaldo, Gareth Bale, Karim Benzema. Neuer, Lahm, Boateng, Dante, Alaba, Toni Kroos, Bastian Schweinsteiger, Thomas Muller, Franck Robben, Arjen Ribery, Mario Mandzukic.